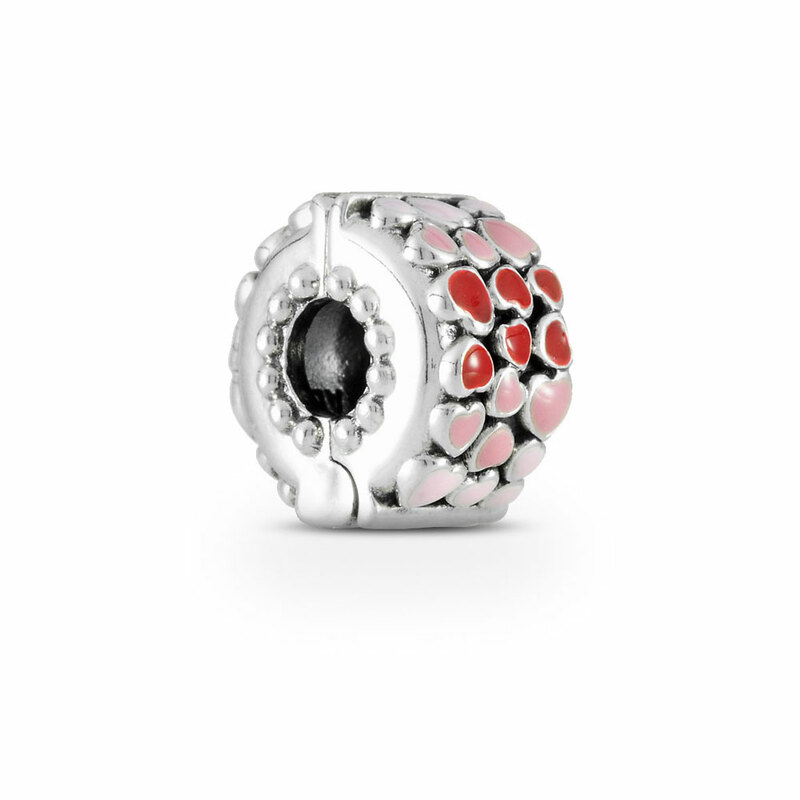 Crafted from sterling silver decorated with hand-painted pink and red enamel hearts, this stunning clip will add a sweet touch of love to every bracelet styling. Available online or in-store. Burst of Love Clip is rated 4.8 out of 5 by 5. Rated 4 out of 5 by Kim Tran from Cute Clips! I ordered two clips a few days ago. They're really so cute... but I didn't receive rubber locks. So.. can I buy rubber locks online? Rated 5 out of 5 by GabyP from Perfect clips! I had been looking for clips for my bracelet that weren’t plain, had just the right amount of pop of color and I wanted to make sure it was something I’d want to wear forever with my bracelet, they launched their Valentine’s Day collection and those clips are to die for! At first I thought they only had different hues of pink and red in some kind of circular shape, but when I got them, to my surprise they were tiny hearts! I’d buy them all over again! Rated 5 out of 5 by LOU02 from BEAUTIFUL COLOURFUL CLIP Very happy with this clip. My bracelet is now complete. Rated 5 out of 5 by Hula4lace from Pink and Red Heart Clips The pink and red heart clips are beautiful and the detail of them are pristine!